The Pheasant is pictured on a 4 board sign. 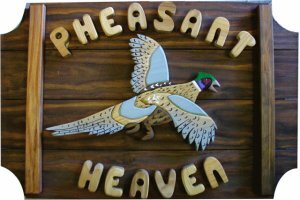 The Pheasant sign is the perfect gift for the conservationist or hunter. The pheasant is one of America's most popular game bird and also one of the most beautiful.